Links are used to direct the user to content on another web page. URLs are the addresses of web pages. Use best practices to build your links when you are creating content on your site. When you are creating content in your Stacks site, it is important that you use Relative URLs for internal pages. An Absolute URL contains the protocol (Eg. http://) the domain and the path. A Relative URL only contains the path. For external pages you will need to use absolute URLs. 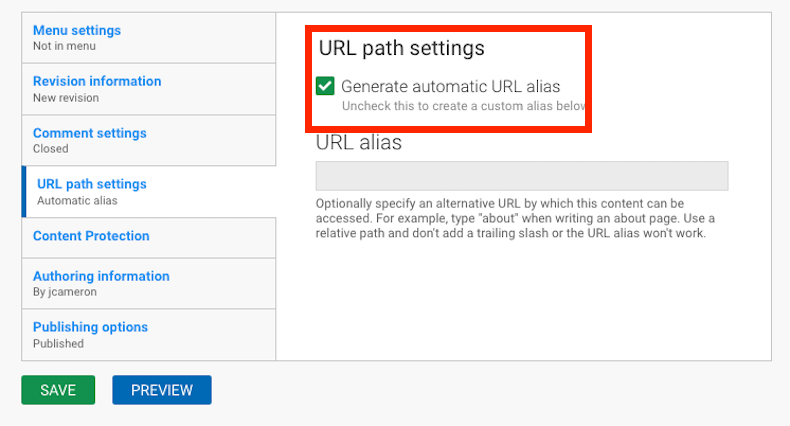 Using a Relative URL indicates to Stacks that the URL you are describing resides at the domain of the system. It is important to use the Relative URL when building your Stacks site because when you go-live, you will likely change your Domain from '____.stacksdiscovery.com' to your own library's or organization's Domain. If the URLs on your site are specified in relative form, your links will not break when you go-live. If the URLs on your site are Absolute, the links will break once you go-live and change your Domain. 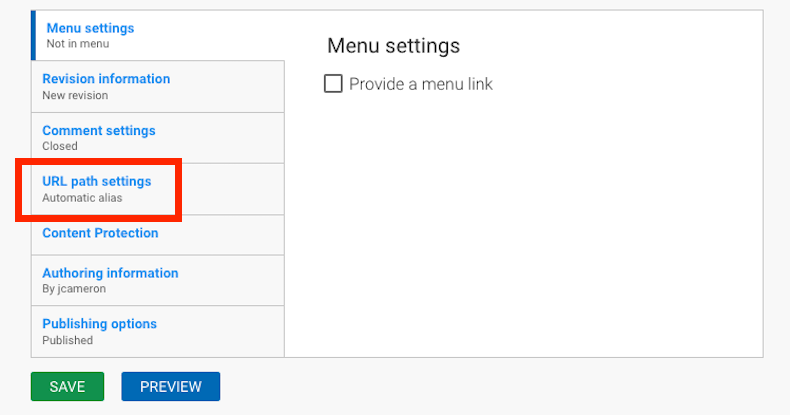 Please note that you can also use the Link Checker feature of your site to catch broken links. When you create content on your Stacks site, such as a page, you can define the specific name you want to use for the link or address of the page (the URL). We recommend that you use the relative path when you are creating content on your trail site. Once you have created your content, scroll to the bottom of the content creation page. You will see several blue tabs on the left-hand side of the page. Type your alternative URL in the text box. 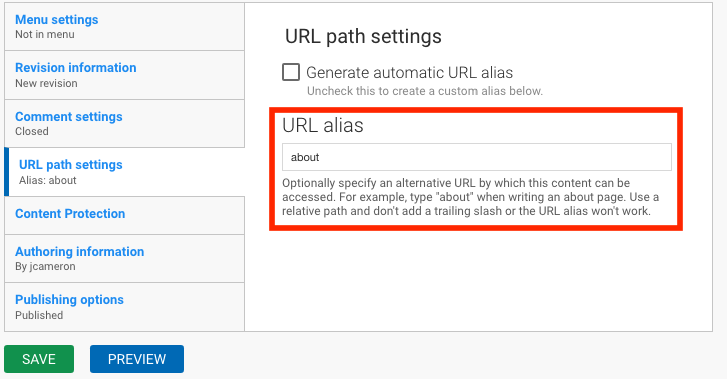 Remember if you are using the relative path that you will only enter the last part of the whole URL (after the slash). Option: If you are building a page that will be a 'child' page beneath a 'parent' page, you can add a slash such as: about/college which would place the page college under the menu item About.